Why do rodents enter our buildings? Most home invasions occur in the fall, not because of cooler weather, but because the seeds and plants on which rodents feed outside are gone. In the absence of food and water sources, the rodents will leave! How do you prevent entry? Seal all holes, keep all doors closed, and install metal door sweeps! Place all garbage in tightly sealed containers. 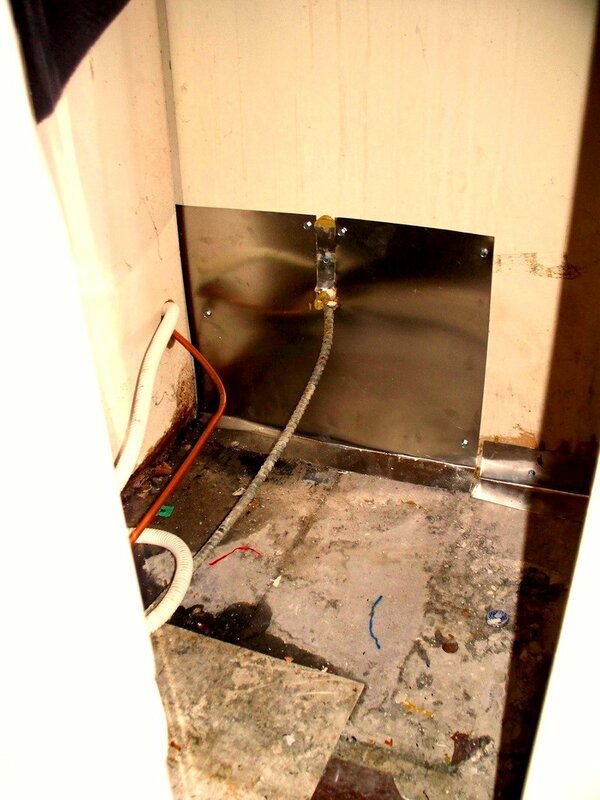 Eliminate access to water and exposed food or crumbs! For more information on how to eradicate rodents from your home or building, please read more on integrated pest management for rodents below under "Finding the right solution..." as well as the following articles provided by Black Widow and New York City. If your building has a rodent problem and you are in need of our services, please contact our office today and we will work with you to implement a Rodent Control Program that is right for you and your building! All of our rodent control services include monitoring of rodent activity anywhere from 1x/week to 1x/month depending on the severity of the situation, rodent trapping (bait stations, snap traps, glueboards) and rodent proofing (treating and sealing exisiting burrows, structural exlcusion and sanitation advisement). Our services also include construction site rodent abatement offering pre-construction consulting, including a detailed Integrated Pest Management report and post-construction inspections and monitoring. When it comes to rodents we believe the best form of pest control involves non-chemical pest management and prevention! Black Widow Termite & Pest Control Corp. will not only work with you until your rodent situation is under control, but will advise you on the best way to prevent rodent entry in the future, lowering the long-term costs of pest control for your home, building or company. 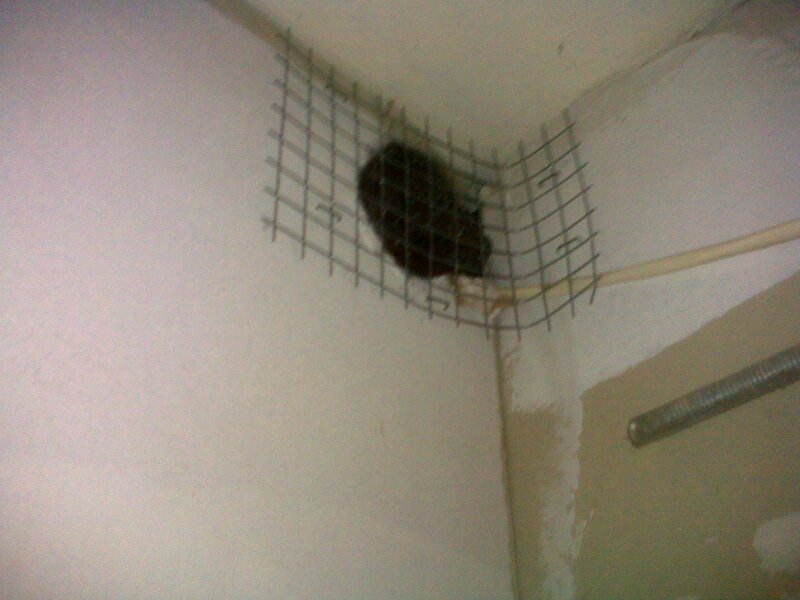 The roof rat or black rat is the most common rat encountered in buildings. 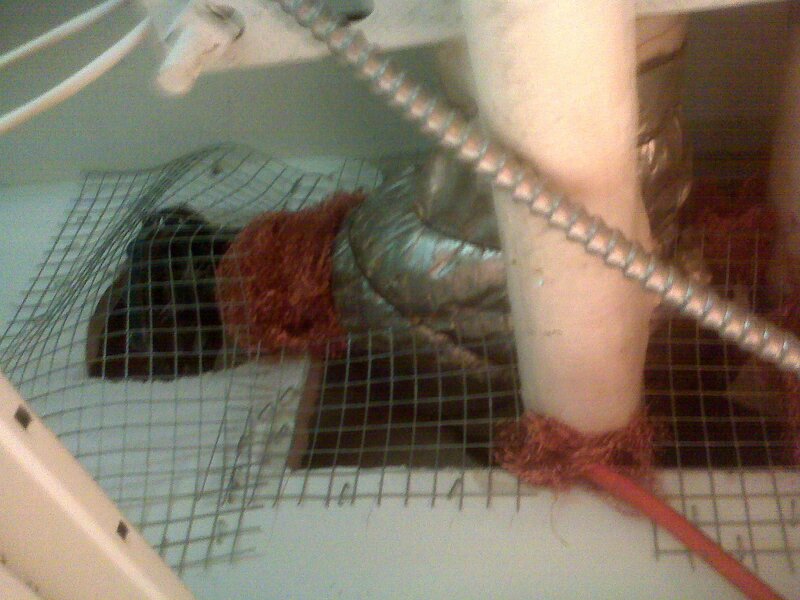 These rats are excellent climbers and often nest in attics, wall voids and hollow trees. They prefer to travel off the ground and enter houses from nearby trees or along power lines. Roof rats prefer fruit (they are sometimes called citrus rats), but will eat any type of human, pet, or livestock food. Peanut butter, pieces of fruit or nut meats are the best baits. Rats are usually fearful of new items in their environment and avoid them for several days. This means that traps should be left in place for at least one week before they are moved to a new location. The presence of roof rats can be determined by gnawing damage, the presence of droppings, sightings, sounds of scratching, squeaking, or gnawing in walls or ceilings, and characteristic dark, greasy rub marks along frequented paths on walls and on rafters. Rats have large home ranges and may travel over 50 yards to reach food or water. Concentrating traps along rat runways or favorite routes of travel is most effective. Rats occurring in sewers are generally Norway rats. These rats are strong burrowers, but can also climb well. They are excellent swimmers and can swim under water for up to 30 seconds and can enter houses by coming up toilet pipes. These rats usually dig burrows along building foundations and under debris piles. They have a strong preference for meat and fish, but will do well on any type of human or pet food. Raw or cooked meat and fish, especially sardines, are excellent baits but peanut butter also works well. Like the roof rat, the Norway rat is cautious of new objects and has a very large home range, over 50 yards in radius. The Norway rat is very aggressive and will drive roof rats out of an area. However, both species of rats can be found in the same building, with roof rats in the attic and Norway rats in the basement. The house mouse is the most common rodent invading homes and apartments. It is primarily nocturnal and secretive. The presence of mice is usually indicated by sightings, damage from gnawing into food containers, or presence of droppings. In the wild, house mice feed primarily on seeds. In the home, they prefer grain products, bird seed, and dry pet food. Peanut butter or gum drops stuck to the trigger of snap traps, rolled oats or bird seed sprinkled on the trap are good baits. House mice are inquisitive and actively explore anything new. They tend to nibble on many small meals a night. House mice are good climbers. They have a small home range and usually stay within 10 to 30 feet of their nest. Therefore traps for mice should be set 6 to 10 feet apart. Nests are usually in structural voids, in undisturbed stored products or debris, or in burrows outdoors. When food is abundant, nesting material, such as a cotton ball, tied to the trigger can act as an effective lure. Mice and rats are very nervous about moving in the open. The more cover they have, the more comfortable they are. They would prefer running behind an object or along the baseboard of a wall than to run across an open space. The most successful rodent control programs begin with thorough inspections and should always be conducted before any control work is started. 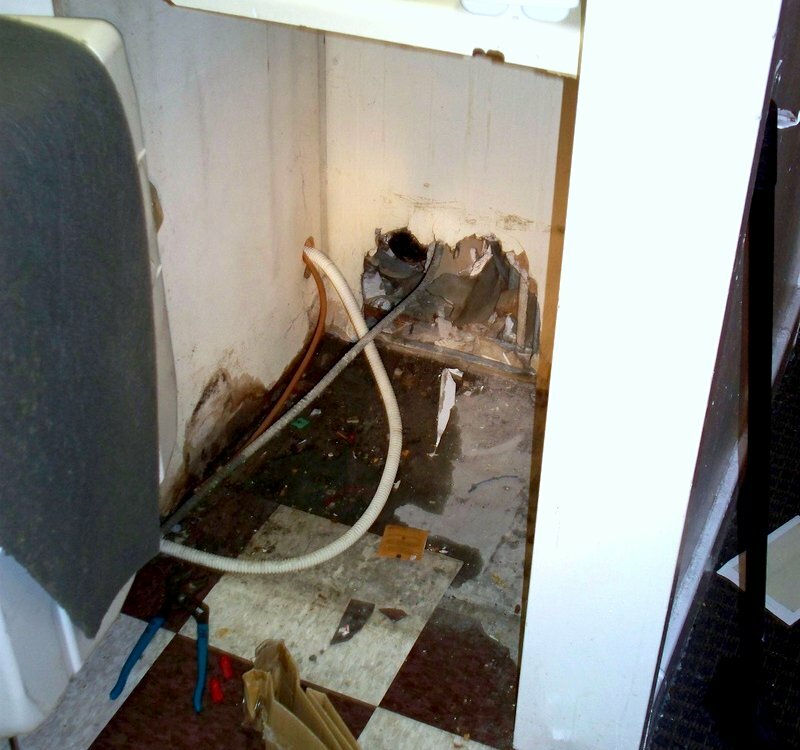 A professional-level inspection reveals the extent of infestation, harborages and rodent entry points. 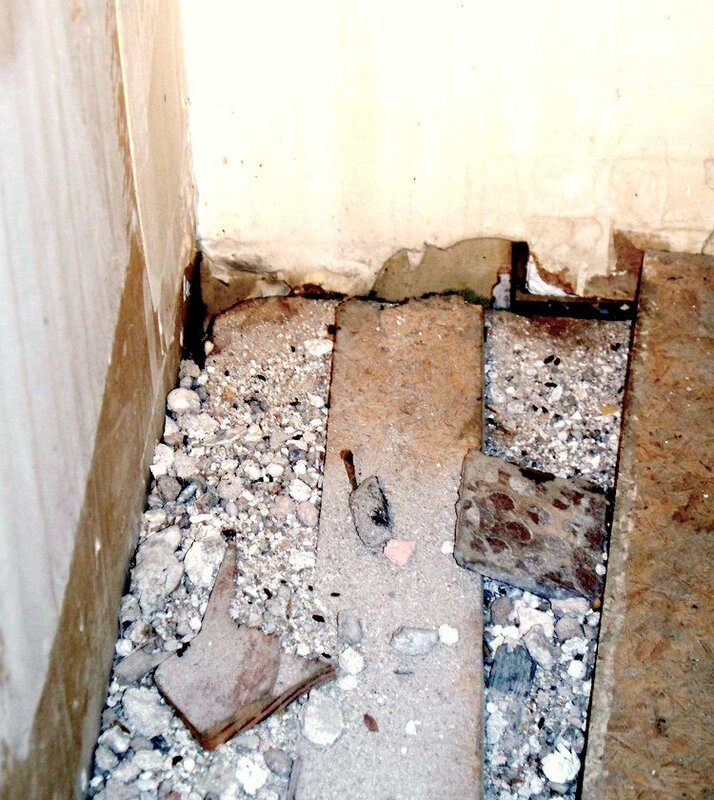 Rodentproofing is the process of denying rodents entry into buildings by improving the building’s structural integrity. Used in conjunction with effective and ongoing environmental sanitation programs, these two practices provide the best long-term and cost effective component of any rodent IPM program. All animals have three requirements for life; food, water, and shelter. Removal of any one of these components will force an animal to leave. 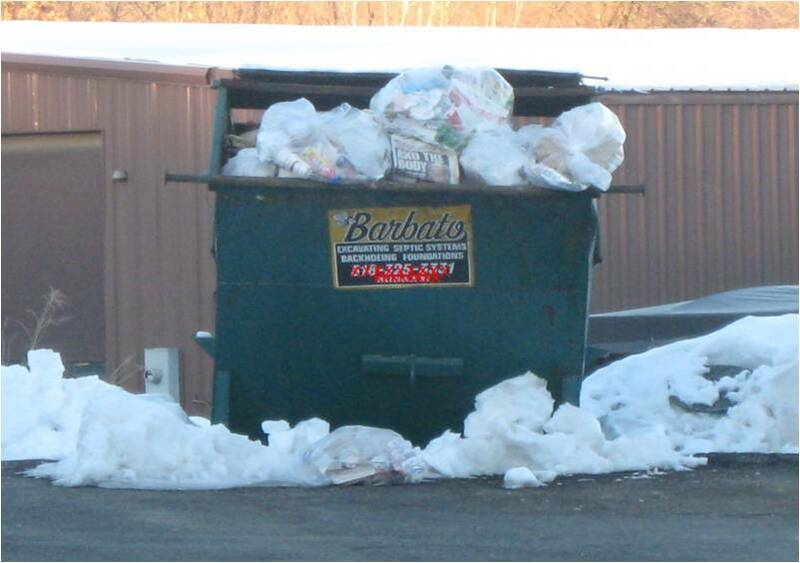 The removal of debris such as piles of waste, lumber or trash, used feed sacks and abandoned large appliances, as well as the trimming of dead tree limbs will substantially reduce the harborages for rodent pests. Stacked firewood stored for long periods provides good harborage for all three breeds of rodents. Storage of pet food and seeds, such as wild bird seed, in rodent proof containers of glass or metal will eliminate these food sources. Collect and remove fallen fruit from backyard trees and orchards. 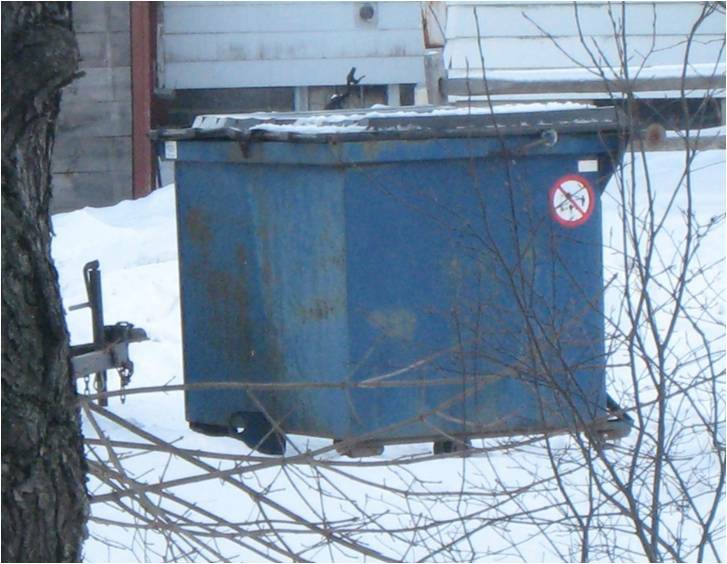 Keeping lids on trash cans and closing dumpsters at night will also make an area less attractive to rats and mice. 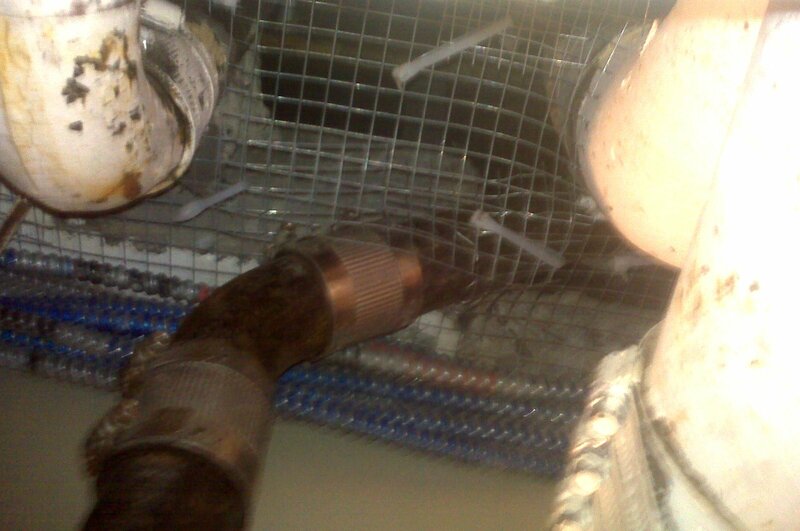 The drainage holes in dumpsters should be covered with hardware cloth to keep rodents out. Door sweeps should be in place. LEFT: The exposed, overflowing garbage dumpster WILL attract rodents by providing them with food, water and shelter. RIGHT: This trash receptacle is closed and all garbage is contained providing any potential rodents with no sustainable resources. 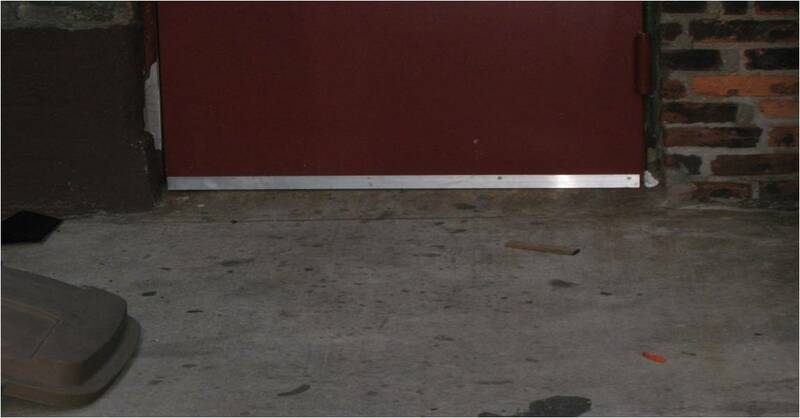 BELOW: Metal door sweeps will prevent rodents from entering buildings and houses through the small gaps underneath doorways. Rodents can squeeze through a hole as small as the size of a pencil's eraserhead! It is important to seal up holes and cracks in all moldings, install metal door sweeps on gaps under doors, and search behind large appliances for hidden holes. 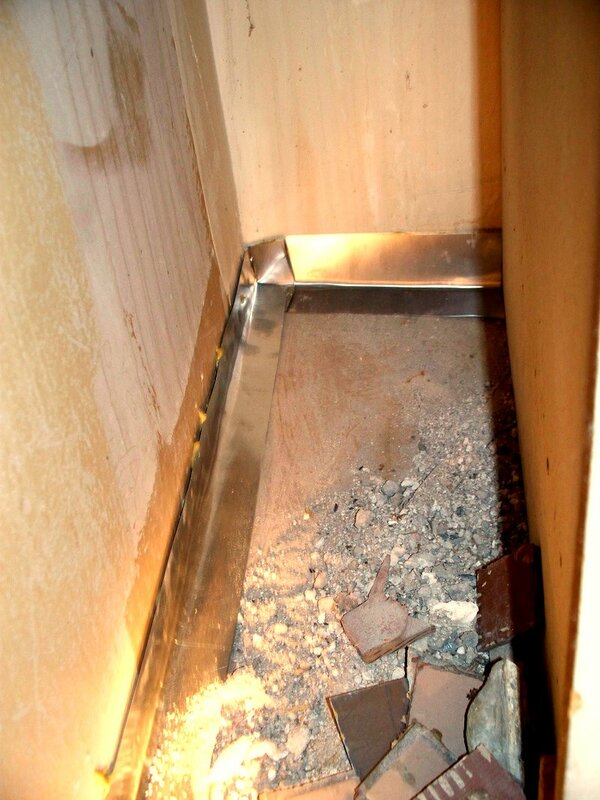 ABOVE: This hole in the structure was caused by rodent damage and only discovered after Black Widow contracted out licensed technicians to pull out large appliances in an apartment complaining of mice. There are three main types of rodent traps; snap traps, bait stations and glue board traps. Snap traps include the classic rodent traps with the wood base and the newer metal clothespin traps. They are designed to kill the trapped animal quickly and humanely. Snap traps should not be set were children or pets will come in contact with them. There are three different types of triggers; wood/prebaited, metal for holding bait, and expanded trigger, which is used in runways. The expanded trigger is the most versatile type since it can also be baited. Other nonchemical means of control include ultrasonic devices. The principal of ultrasonic devices is to create a loud noise above the range of human hearing (above 18-20 kHz) that is unpleasant to pest species. The problems with ultrasound are numerous. Animals can adapt to most situations, and in a short amount of time they become accustomed to the sound. If the original attractant, such as food, is present, the rodents will return. The short wavelengths of ultrasound are easily reflected and create sound shadows and the rodents simply shift their activity to these low noise shadows. In Black Widow's experience, ultrasonic devices are a temporary, quick fix and WILL NOT WORK. Rodenticides are poisons that kill rodents and modern rodenticides consist of two broad groups: anticoagulants and non-anticoagulants. Rodenticides are generally combined with some rodent-preferred food item such as grain (corn, wheat, oats) or a combination of grains in low yet effective amounts. Bait formulations may be in pellet forms or incorporated in paraffin blocks of varying sizes. As a safeguard against accidental ingestion by non-target species, baits are placed either where they are inaccessible to children, domestic animals, or wildlife, or within tamper-resistant bait boxes designed to exclude all but rodent-size animals. Because of their high toxicity, rodenticides are inherently hazardous to people, domestic animals, and wildlife. They are highly regulated, as are certain other types of pesticides. All rodenticides must be used in accordance with the label directions and may be prohibited where they may jeopardize certain endangered species. Black Widow believes in pesticide free rodent control, and will only resort to rodenticides in severe infestations where trapping and exlcusions methods are failing and when sealing off pre-exisiting burrows. All rodenticides must be used in accordance with the label directions and may be prohibited where they may jeopardize certain endangered species. When rodenticides are absolutely necessary, Black Widow dispatches trained and certified professional pesticide applicators to service the location ensuring minimum toxicity to people, plants and the environment. All holes, cracks and exposures in the structure, especially around pipe penetrations, can serve as an entry way and, if large enough, as burrows for rodents. 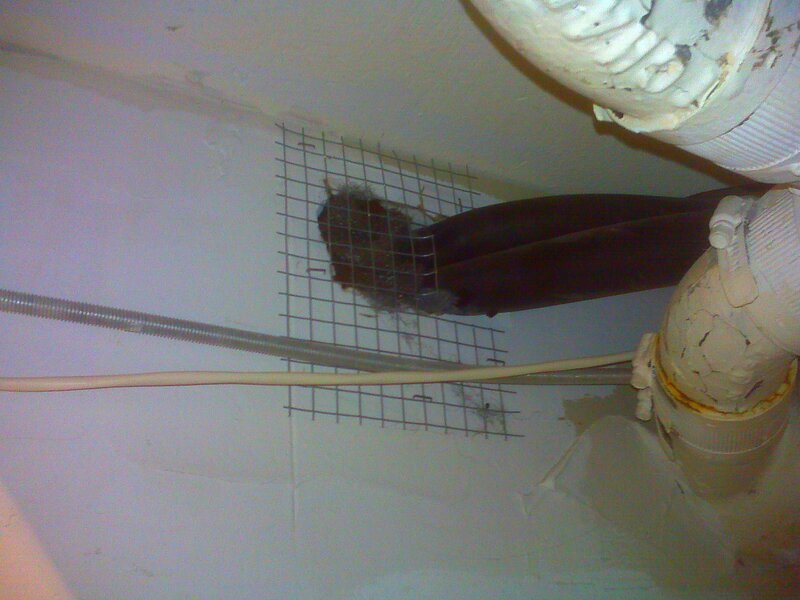 Proper rodent proofing entails sealing of all openings with a non-foam sealant or wire netting. 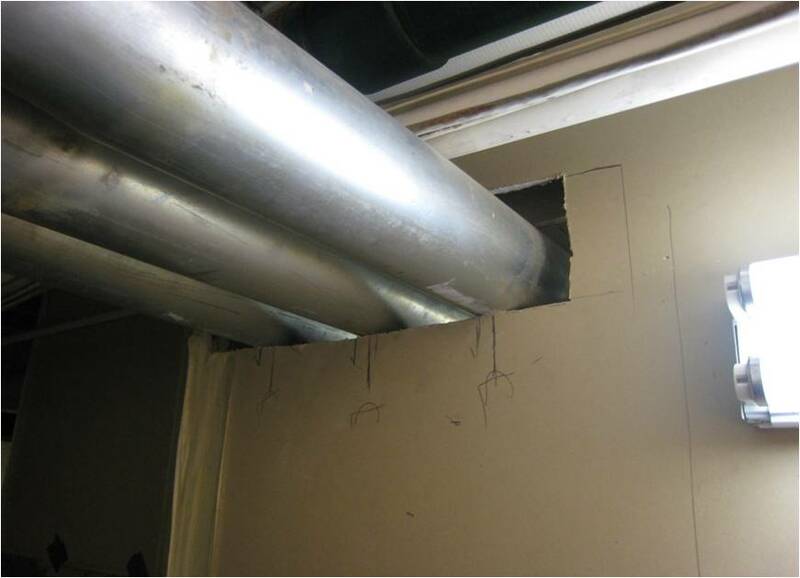 Copper or steel wool also serves as a good temporary fix for structural repairs until a construction team can be brought in to properly seal all voids. Contact us today for your customized integrated pest management plan for rodents and get those pests under control!